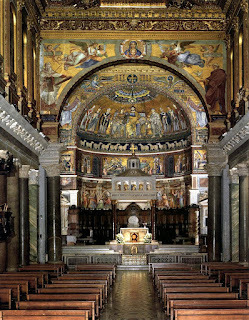 Tucked away in a corner of the Piazza that bears its name, St. Mary’s across the Tiber, dedicated to the Assumption of the Blessed Virgin, can claim a connection to Christ stretching back to even before His birth. According to legend, in 38 B.C. a spring of oil came out of the ground here, later interpreted to signal the coming of the Savior. 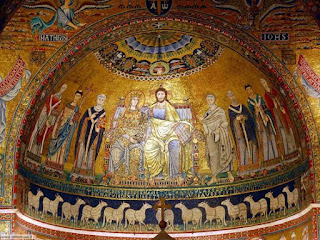 Some centuries later, Pope St. Callistus I was cast into a well near this site because of his profession of Christianity; a church marking the site of his martyrdom stands just off the square, to the left as one faces the basilica. He is traditionally the founder of a house church on this site, the predecessor of this current structure. 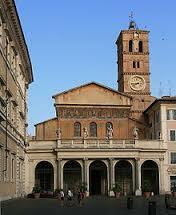 After the legalization of Christianity, Pope Julius I (r. 337-352) built a basilica here to replace the house church. This would come to be known as the titulus Calistii or Basilica Iulii because of its connection to these two popes. After facing the trials and tribulations that the city would experience in the next eight centuries, including being nearly destroyed by fire in the sack of Rome in 410, Pope Innocent II ordered the demolition of the old church and construction of the current one, which stretched from 1139 to 1181. 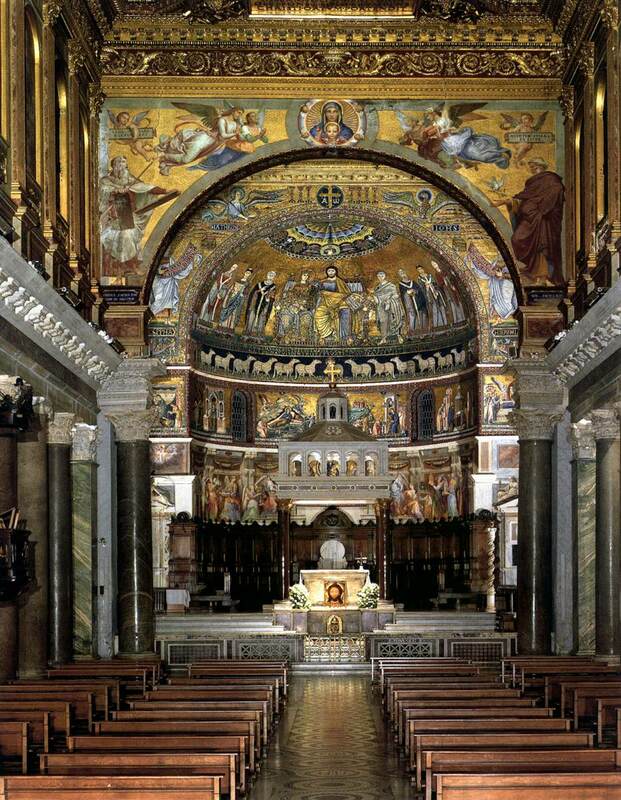 The beautiful mosaics were added later, in the thirteenth century. Over the succeeding centuries various chapels were added. The porch dates from 1702, and in the late 1860s a restoration brought the church largely back to its medieval appearance.